or higher precedence than the operator. Step 1. Reverse the infix expression. Step 3. 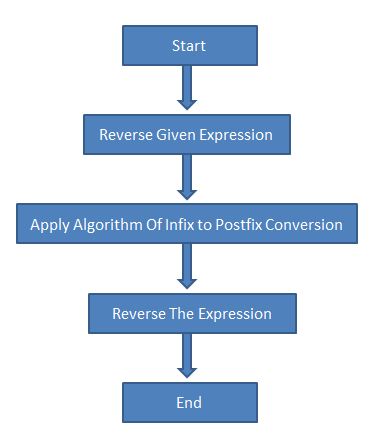 Convert expression to postfix form. Step 4. Reverse the expression.